Himmat Rai carded a total of two-under 282 (70-69-73-70) at the Singapore Open. While Himmat got a total of two-under 282 (70-69-73-70), Gangjee had a four-day total of 283 (68-72-75-69) at the Serapong Course of Sentosa Golf Club here. Apart from the duo, S.S.P. 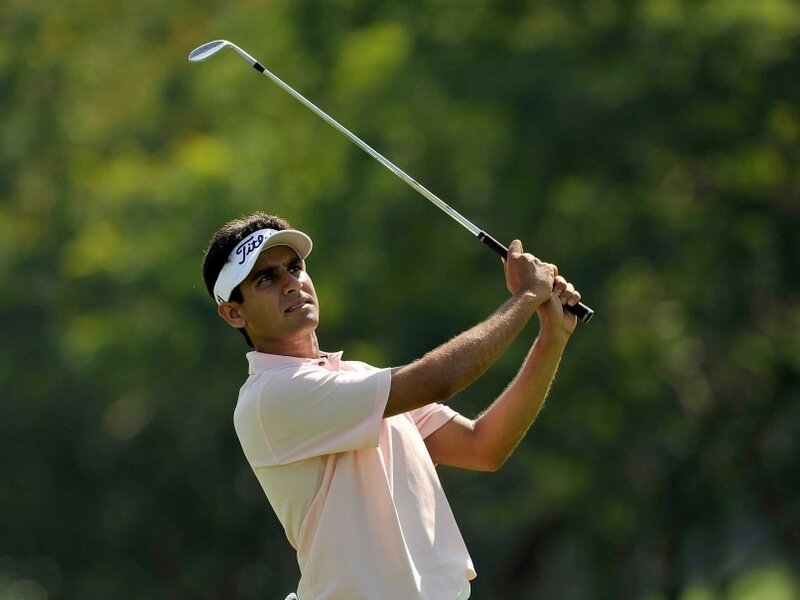 Chawrasia finished tied 38th after scoring 67 that took his total to one-over 285, while Shiv Kapur scored 71 to finish tied 64 on seven-over 291 total (70-71-79-71). Meanwhile, world No.1 Jordan Spieth of the United States remained two shots behind South Korea's Younghan Song, who is hoping to bag his first professional Tour title. Spieth was at 10-under and ready to putt for birdie on the closing 18 while Song faced a tricky par putt from 10 feet on 16 before Mother Nature once again forced them together with 10 other players off the Serapong Course at 2.46pm local time. With thunderstorms showing no signs of abating, play was eventually called off at 6pm with round four scheduled to resume at 7.30am on Monday morning. Spieth is hopeful of draining his testing birdie putt from five feet and apply the pressure on Song, who at 12-under, would then have to save par on 16 and hold on to his slender one-shot advantage for his remaining two holes. "My game really started to come together on the back nine. I was putting some pressure on the leader. Assuming I make that putt on 18 that is going to put some pressure on him," Spieth said in an Asian Tour release. "It (Monday finish) is what it is. I will be back early tomorrow to try and finish this off." Song is also bracing for a titanic finish and hopes the course conditions will play to his advantage as he seeks his maiden breakthrough. "I am really tired, it has been a long wait. Coming back tomorrow is okay for me as the course should be in a better condition (less wet). "Tomorrow I will just play shot by shot and hope I can get the win. I have had a lot of second place finishes and it is time for a victory," said Song. China's Liang Wen-chong meanwhile carded 68 to complete his round just before the sirens went off again. Liang, 2007 Asian Tour Order of Merit champion, would be following Monday's developments closely as his 72-hole total of 10-under 274 could still give him an outside chance of a play-off at the $1 million event which is sanctioned by the Asian Tour and Japan Golf Tour Organisation (JGTO).